Both Sydney Swans and South Melbourne fans will hold 2005 in their hearts dearly. As Paul Roos proudly proclaimed "the people who've waited 72 years to see South Melbourne/Sydney with a premiership - here it is! ", the MCG simultaneously erupted with an outpouring of emotion. In an epic struggle with West Coast, the game came down to the final seconds - which saw the birth of arguably the greatest mark in Grand Final history, as Leo Barry quashed the Eagles' final chance with a soaring pack mark just metres from goal. Fast forward seven years, and the Swans would be holding the cup once again. The mighty bloods kicked the final four goals of the match to topple the high flying Hawks by just 10 points in one of the more hotly contested Grand Final's in recent memory. Commemorate Sydney's Premiership triumphs with a collectable pewter replica of unrivalled heritage and splendour. Each handcrafted Cup is composed predominantly of refined tin, with small proportions of antimony and copper added for strength and durability. 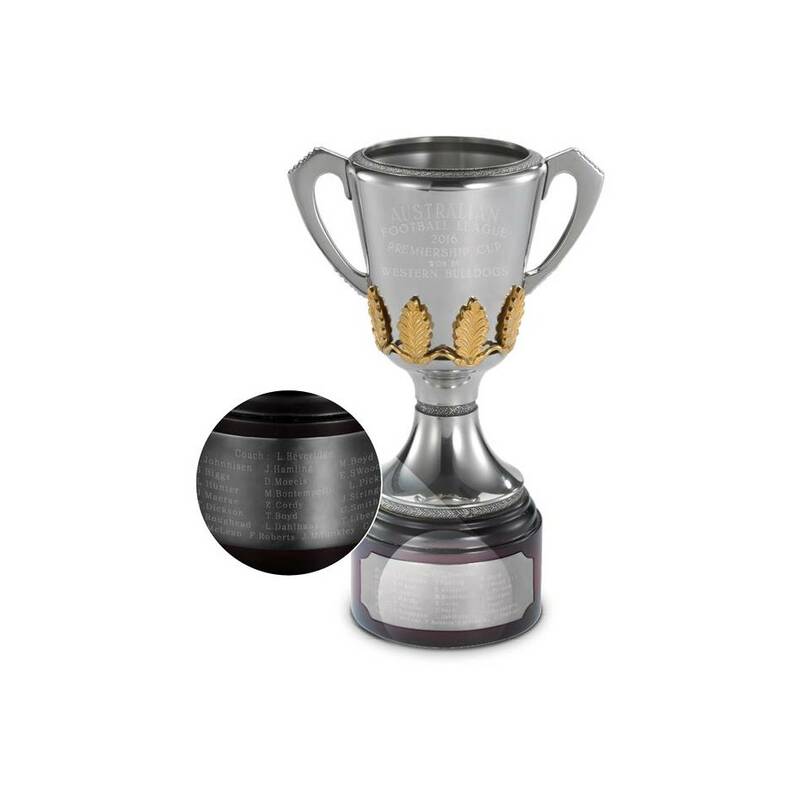 Each piece comes hand-engraved and your acquisition will come complete with the relevant details specific to your Club and the Premiership year chosen. In 1885, an intrepid young pewtersmith named Yong Koon sailed from the southern Chinese port of Shantou to the tin-rich Malay Peninsula to seek his fortune. Today, his enterprise is Royal Selangor, which continues his passion for the versatility and beauty of pewter. Composed predominantly of refined tin, with a small proportion of antimony and copper added for strength and durability, Royal Selangor represents the finest in materials and design. Unlike antique pewter, the modern article contains no lead and is perfectly food-safe. Our customers have enjoyed Royal Selangor at the table for as long as we’ve enjoyed making pewter. Pewter offers a lifetime of pleasure and beauty. Over time and with use, pewter develops a pleasing subdued tone unique to the metal.